Two years back on a foggy and chilly morning we were blessed with a cute little princess. We were all excited and happy and my little boy who was hardly two then was overjoyed to find a cute little dolly all wrapped and sleeping in the crib. His expressions on seeing his little sister for the first time still reflects in front of my eyes and we were so relieved from the tension seeing him not being possessive on me or my hubby. Guys, that was just a start n nothing was Ezee from then ;) . It was a marathon, struggling and juggling between two little ones of almost same age(yea, it was then I almost stopped blogging for may be more than a year). Their sweet little plays n games, tantrums, sibling competition(oh ya, all started now itself), big n small fight on even a piece of chocolate wrapper - these are all fun to watch, scary at times and the best-est motherhood experience. I see them being the best siblings for 10 minutes and vice verse in just couple of seconds. Their love for each other have no boundaries for sometime, your attention is diverted for a minute and you get to hear the scream of one then. ufff my sweet little kids, never knew when did they grow up so fast. My son will 4 soon and by little girl is already 2 years. It is hard to believe them growing so fast and each year leaves behind so much of precious memories. Time just flies, I wish could stop the pace in which the seconds and minutes needle of the clock rotates. 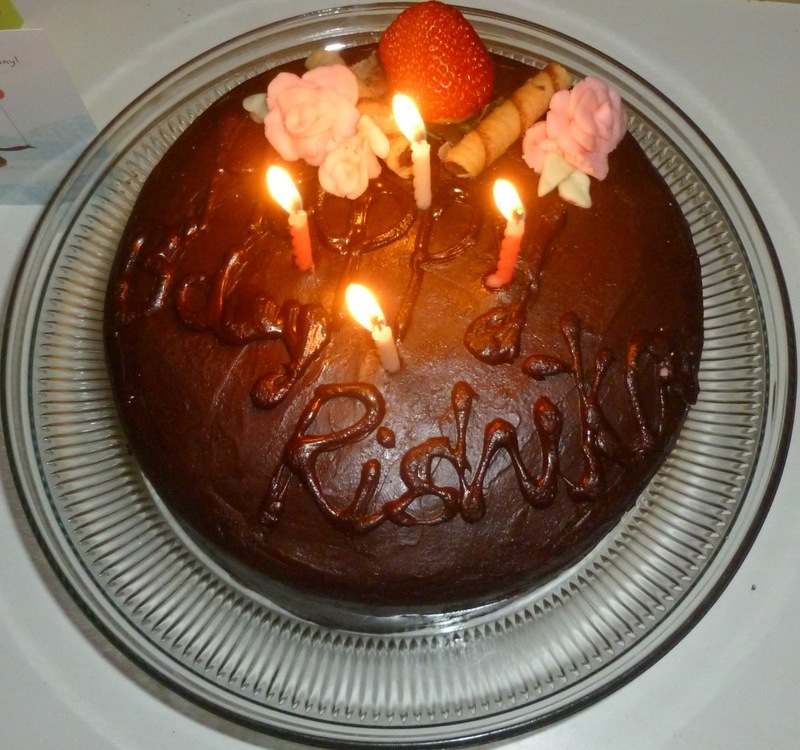 So then, it was my cutie's birthday on 28th Nov and planned to make a cake for her dinner party. 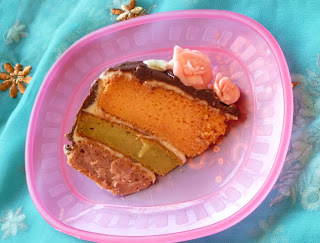 I wanted to make this cake from so long since I watched the Malayalam movie 'Salt n Pepper'. So friends lemme tell the story of the movie in brief and inspiration in making this cake. Please bear with me for this is gonna be long post for sure I guess. Salt n Pepper is a simple and beautiful movie which narrates the story of Kalidasan (Lal) an archaeologist who is equally obsessed with food, and the smell and feel of anything related to food and Maya (Swetha Menon) who lives in another corner of the town, who enjoys her work as a dubbing artist. Both strike up a conversation that doesn't go too well, after one of Maya's calls to the local Dosa guy ends up on Kalidasan's mobile. Hate slowly gives way to affection, but when they decide to finally meet however, Kalidasan on the spur of the moment sends over his nephew Manu (Asif Ali) instead. And, Meenakshi (Mythili), Maya's roommate, volunteers to make an appearance on her behalf. Now now now, the making of the cake was just breifly told in the story where they baked each cake one day at a time . 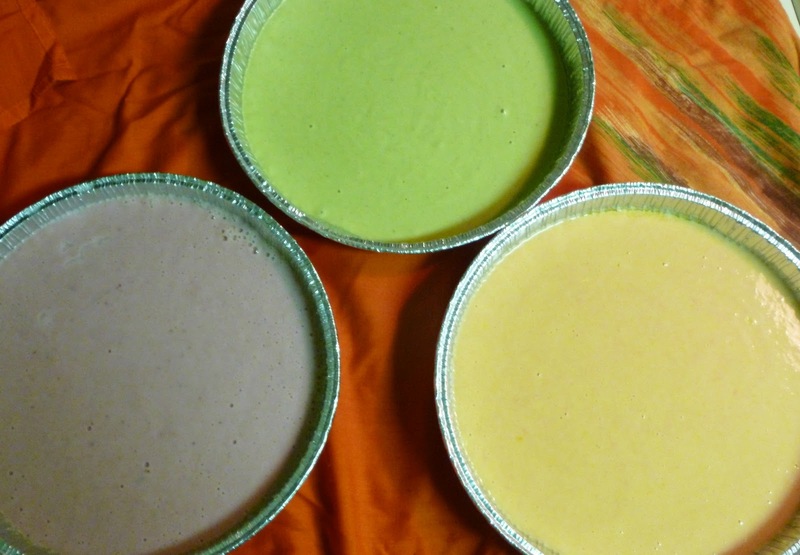 While the process of making the cake was shown they showed it as strawberry being mashed in the milk, pista being soaked in the rum for four hours with dates and orange juice being extracted. 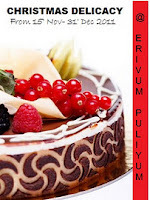 Even though nothing was mentioned about whipping the cream and layering, picturization shows the cream being whipped and each cake topped and layered with whipped cream. Then the cake seemed going to the freezer to get set may be :) and the happy ending was when Juvan brings the chocolate and his wife make the chocolate sauce by melting it and the poured it all over the cake. Sounds so delicious right?? Sift together flour, baking powder and salt. Set aside till the rest of the process is completed. Wash and pat dry the strawberries. Pour 1/2 cup milk to a bowl, add strawberries and mash very well with your clean hands(or give it a a stir or two in a food processor and add it to the milk, don't get it pureed in the mixer or blender). Set aside. Soak the pistachios in water for at-least 30 minutes and peel off the skin completely. Grind it with 1/2 cup of milk and set aside. Now in a bowl beat the egg well till lemon yellow, add the sugar and beat well. Pour in the oil(butter) and beat well till everything is incorporated well. Add the sifted flour mix to this and beat well till everything is blended properly. To the rest of the batter add the orange juice and orange zest and mix well with the whisk and set aide. 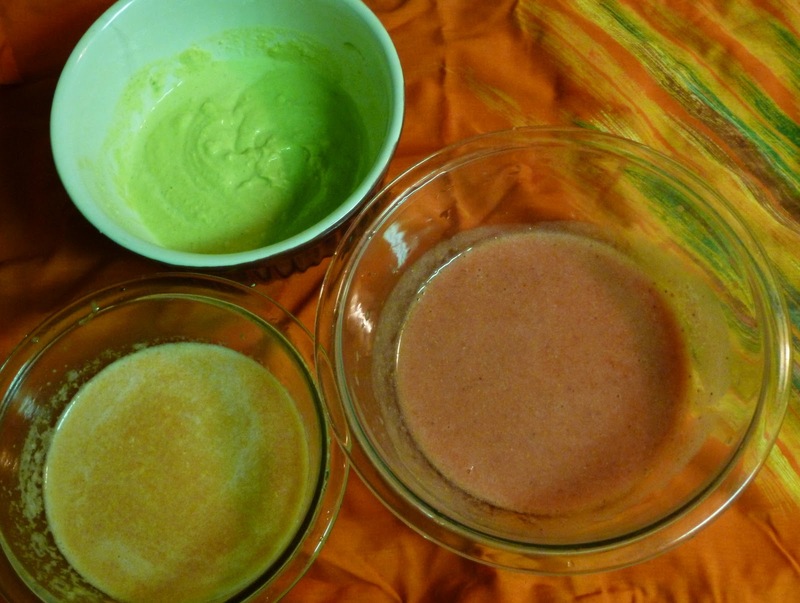 Use a cooking spray to grease three round cake pans and pour the three cake mix to the pans. Bake it for approximately 50 mins or a cake tester comes out clean when inserted. Take out of the oven and let it cool completely. Place the strawberry cake at the bottom and top it with the frosting. Spread it nice and evenly. Top it with Pistachio cake and spread the cream cheese on top. Place the Orange cake on top and spread the cream cheese topping on the top and sides and Put it in the freezer for an hour. Mean while heat up a pan and pour the whipping cream and get it to boil stirring in between. Switch off the flame . Take out the cake and pour the ganche on top and let it pour down from the sides of the cake. 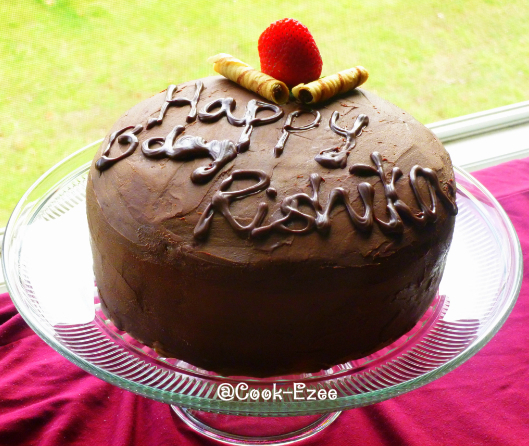 I just spread it smooth and evenly so that I can do a bit decoration and write Birthday wishes on top of the cake. This awesome 'Juvan's Rainbow Cake' is ready to Serve. Yumm Yuum with loads of fun. Loved it Prathibha... 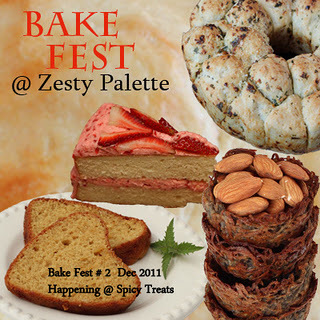 Looking forward for the party next week to have some yummy cake!!!! 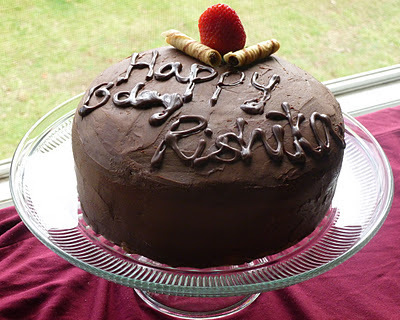 Prathiba, I have been planning to make the same cake ever since I saw that movie. Congrads on making it and that too for such a wonderful occasion. Many blessings for your little one. God Bless.! Belated Birthday Wishes to ur lil princess! she is adorable ...Luk at ur lil boys laughter in the first pic. ! My hugs n kisses to both chweeties! You have done it so beautifully! great job! Cute pics dear,belated birthday wishes to ur lil princess. Belated birthday wishes,dear..My luv to both of them too..cuteees! Cake looks excellently done and awesome for the b'day party..Lovely inspiration too!! I too loved watching that movie!! Thanx for linking it to my event,do send me the details in mail too..
Cake looks gorgeous and belated b'day wishes to ur lil princess and she looks so cute. Your lil angel is really adorable. Belated b'day wishes for her. God bless :) And the cake looks yummy too !! Belated B'day wishes to ur lil princess, awesome cake, great job done..
belated birthday wishes for your little princess... cake looks simply delicious... bookmarked..
beautifulk post and nice cake..i cant imagine baking a 3 layer one with 2 kiddos around :-) btw, I have a cake event for this month. Looking for your participation. Lovely cake for the cutest birthday baby. Belated birthday wishes. awesome cake for the cute baby...looks perfect n you have done a great job...thanks for the entry!! i loved that movie and this cake wow i have to make it now.